Charlie Victor Romeo was honored to have Lt. Col. [Ret.] John Varljen join us onstage after our New York Premiere at The New York Film Festival on September 28th, 2013 for the question and answer session with the audience. 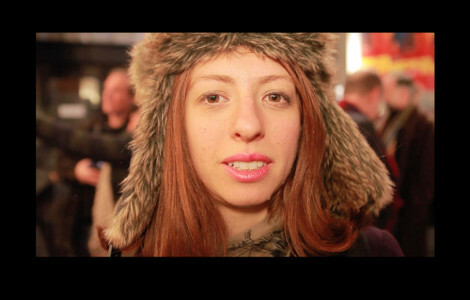 In 2000, John was working as the head of the USAF Crew Resource Management Program and after reading a Charlie Victor Romeo review in Smithsonian Air & Space Magazine came up to New York to see the play at Collective: Unconscious. As a result, Charlie Victor Romeo was videotaped by a unit of combat photographers from Hill Air Force Base, UT and a CRM training program was developed by John which has been in use by the Air Force since then. In 2001 The Defense Department gave the USAF Charlie Victor Romeo CRM Video the Department Of Defense Visual Information [VI] Production Award for creativity. 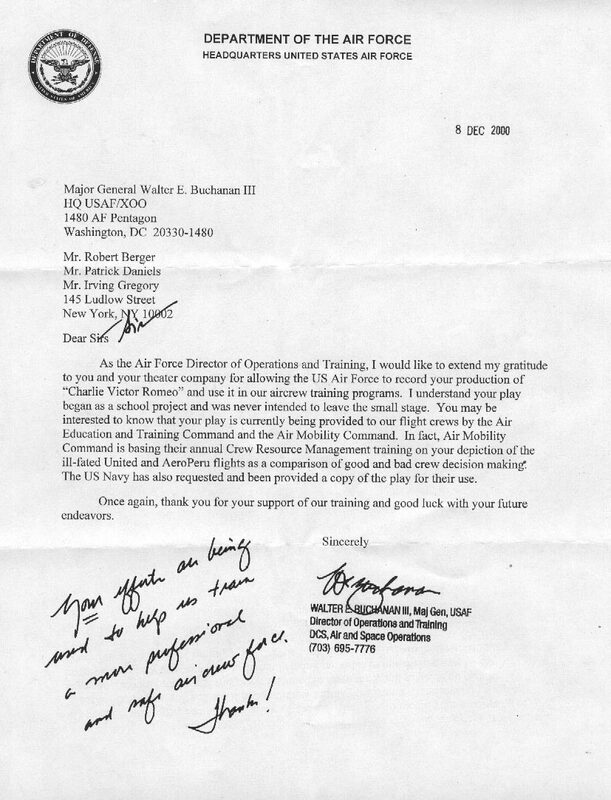 Below is the letter that Charlie Victor Romeo received from Maj. General Walter E. Buchanan who was Director of Operations and Training USAF at the time thanking us for our contribution to safety. In the discussion at NYFF John told the story about how he discovered Charlie Victor Romeo and how it has been used to save lives through it’s use as part of the Air Force’s training program. John has gone on to direct test engineering for Lockheed Space Systems and is now an airline pilot and space systems consultant.